He runs Image Conscious Studios, a digital agency creating brand-centric experiences for technology and lifestyle brands. As creative director of the studio, he works to ensure the work is strategically aligned to each client's goals, and pushes the design team to create their absolute best work. 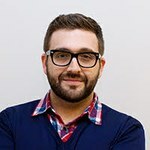 Adam has been designing & building websites for over 12 years.